Ulrich “Seppl” Wöhnert was born on 24 October 1914 at Wolfshagen in the Uckermark region of Mark Brandenburg. Wöhnert was posted to JG 54 based on the Eastern front in spring 1942. Unteroffizier Wöhnert was assigned to 2./JG 54. He recorded his first victory on 21 July, when he shot down a Russian Il-2 Sturmovik ground-attack aircraft. On 20 July 1943, Wöhnert claimed two enemy aircraft shot down to record his 10th and 11th victories. In August, he claimed 15 victories, including his three Russian fighters shot down on 20 August (19-21). Wöhnert recorded his 30th victory on 5 September and his 40th on 10 October. His 50th victory was achieved on 21 March 1944, when he shot down another Il-2 Sturmovik.  He was promoted to the rank of Leutnant in spring 1944 and was awarded the Deutsches Kreuz in Gold on 7 February. In July 1944, Wöhnert was transferred to 1./JG 54. He had 54 victories to his credit at this time. On 27 July, he claimed three Russian aircraft shot down (58-60): two Pe-2 twin-engine bombers and a P-39 fighter. Wöhnert was appointed Staffelkapitän of 5./JG 54 in August 1944. He recorded his 67th victory on 15 August. Wöhnert shot down two enemy aircraft on 28 September (81-82). 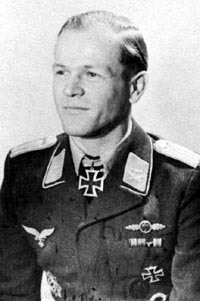 Leutnant Wöhnert was awarded the Ritterkreuz on 6 December for 86 victories. In January 1945, Wöhnert was transferred, it is thought, for health reasons. Little is known of his subsequent career but it is thought he may have died at Wittenberg on 14 August 1947 of a lung related illness. “Seppl” Wöhnert was credited with 86 victories. Some sources have credited him with at least 100 victories. All his victories were recorded over the Eastern front and included at least 20 Il-2 Sturmovik ground-attack aircraft.